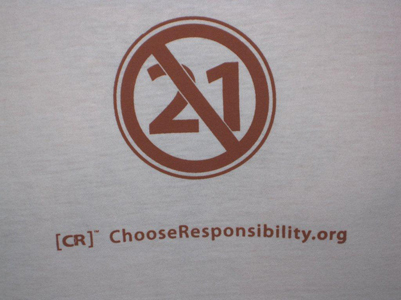 This simple t-shirt conveys a powerful message -- 21 is not working. White background, rust lettering. American Apparel Brand (Sizes: S, M, L, XL) Note: American Apparel sizes run small.